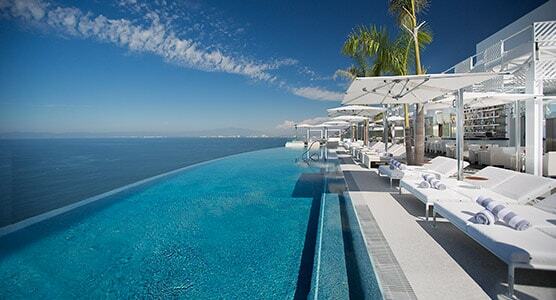 Get up close and personal with an insider’s view of Hotel Mousai, Puerto Vallarta’s first and only 5 Diamond resort. Click on the icons to explore what one of Mexico’s finest adult only hotels has to offer you in terms of lavish luxuries and first class service on Banderas Bay. 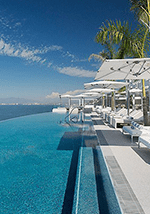 Take a moment for a closer look at this luxury hotel in Puerto Vallarta and explore the hotel facilities, suites, rooftop pool, restaurants and views that await you. You are just one click away from seeing excellence at its finest, and one reservation away from experiencing it first hand. Join us for inspiring adult only vacations in Puerto Vallarta.